The results have been declared for undergraduate and PhD programmes. Postgraduate results have not been declared yet. ICAR had organized the All India Entrance Exam for Admission (AIEEA) 2018 on August 18 and 19, 2018, last month across the country for candidates seeking admissions to Agricultural Universities. Candidates should note that ICAR has announced online counselling dates. Counselling will start from September 10 and will end on September 13, 2018. The first list of allotment list will be declared by September 15, 2018. The counselling process is scheduled to be over by September 28. 1. The Indian Council of Agricultural Research (ICAR) was founded in 1929. 2. 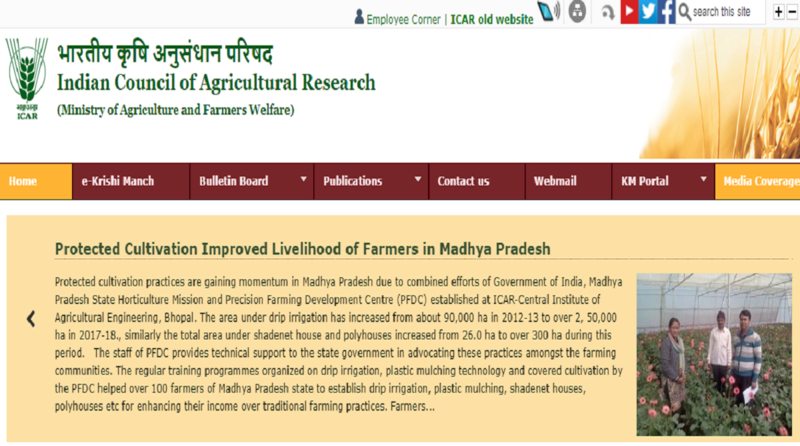 ICAR is an autonomous body responsible for co-ordinating agricultural education and research in India. It reports to the Department of Agricultural Research and Education, Ministry of Agriculture. 3. The Union Minister of Agriculture serves as the President of ICAR.